Dwarf of Thorin & Company. Kili was born in the Blue Mountains in 2864 of the Third Age. He was of the line of Durin, and his mother was Dis, sister of Thorin Oakenshield. Kili had an older brother Fili. Kili’s hood was blue and he played the fiddle. In 2941, Kili accompanied his uncle Thorin on the quest to reclaim the Lonely Mountain from the Dragon Smaug. Kili was the youngest Dwarf on the expedition and he had sharp eyesight. In the High Pass of the Misty Mountains, Kili and Fili found a cave called the Front Porch for the company to take shelter in, but though the brothers claimed to have thoroughly explored it, Orcs emerged from a hidden opening and took them all captive. It was during the flight from the Orcs deep under the mountains that Bilbo Baggins found the One Ring. Kili was on watch in Mirkwood when he spotted the fires of the Wood-elves, but when the Dwarves approached they were taken captive. Bilbo rescued them and sent the Dwarves in barrels down the Forest River. Kili and Fili were the least affected by the trip and helped Bilbo release the others from their barrels. Kili and Fili then accompanied Thorin into Lake-town and were seated in places of honor at the Master’s table when Thorin declared himself to be King under the Mountain. At the Lonely Mountain, Kili and Fili accompanied Balin and Bilbo on the first scouting expedtion, and later the brothers were with Bilbo when he found the hidden door. 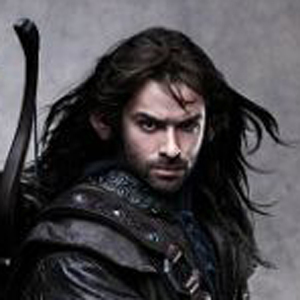 As one of the more active Dwarves, Kili was frequently sent on errands from the camp high on the doorstep. After Smaug’s departure, Kili and Fili played golden harps from the treasure hoard. The brothers were also sent to retrieve the ponies who had run off. When Thorin refused to negotiate with the Lake-men and Wood-elves who came to the mountain seeking part of the treasure after Smaug’s death, Kili and Fili seemed not to share their uncle’s mind on the matter. Kili and Fili fought alongside Thorin when the Dwarves joined forces with the Men and Elves to fight the attacking Orcs in the Battle of the Five Armies. Thorin was mortally wounded, and Kili and Fili died defending him. 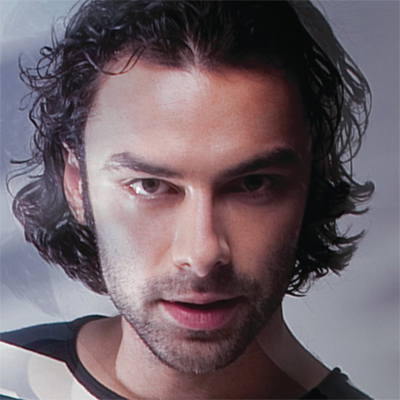 Aidan Turner (born 19 June 1983) is an Irish television and film actor. He is most known for playing a vampire, John Mitchell, in Being Human (since 2009), which is a dramatic comedy television series that first aired on BBC Three, a United Kingdom television network. He also briefly appeared as Bedoli in the first episode of “The Tudors”, an Irish/Canadian produced historical fiction television series first aired on Showtime. Turner also appeared as Ruairí McGowanre in two seasons of The Clinic (2008–2009; 18 episodes), which is a medical-drama television series first aired on RTÉ One, an Irish television channel. He also appeared as Dante Gabriel Rossetti in Desperate Romantics (2009; six episodes), a costume-drama television series first aired on BBC Two, a U.K. television network.